Al Badia Golf Club is located near the Dubai International Airport and is designed by the well known Robert Trent Jones II. It is an award winning club house facility which offers 18-hole championship golf course and a perfect environment to enjoy and relax. Al Badia Golf Club is an ideal place which boasts of eleven beautiful lakes, various ponds and cascading waterfalls. In addition to that, there are two restaurants, bar and other entertainment area for the visitors. Apart from that, there is a golf academy where players can practice their skills on huge driving range, chipping area and practice putting green. In this article, you will find extremely useful information about Al Badia Golf Club in Dubai. - Two dynamic restaurants are available where delicious and scrumptious food is served. - Spa facilities and sauna room is also available for the visitors. - High-tech function rooms are situated inside the club for meetings and conferences purpose. - Membership is also offered to the interested customers. - There is an outdoor events space allocated in order to organize various events. If you are interested to know the operational hours of Al Badia Golf Club, you have to call at the contact number mentioned above. 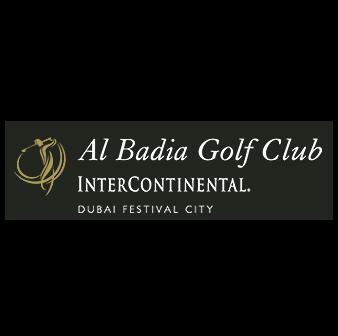 In order to get to Al Badia Golf Club in Dubai, a visitor has to head towards Al Badia Blvd near Marriott Vacation Club where you can easily locate your required destination.